Difference Between Patent Approved & Patent Licensed? A patent is a personal property right granted to an inventor under federal law through the U.S Patent and Trademark Office. To obtain a patent, the inventor must apply to the PTO for one. If the PTO approves the patent, the PTO issues a certificate of patent to the inventor. The holder of a patent may then license the patent to other users, granting them the right to use the patented idea or technology. Unlike copyrights on creative literary works, patents do not arise automatically under U.S. law. Instead, the inventor must apply to the PTO for a patent. The patent application is formal and highly technical. Generally, the applicant must prove to the PTO that the invention is original, authentic, distinguished, and useful. The PTO will review the application and decide whether to issue a patent certificate. The application process can take several years from start to finish. Once an inventor has submitted a patent application, the inventor can use the idea under the designation "patent pending." 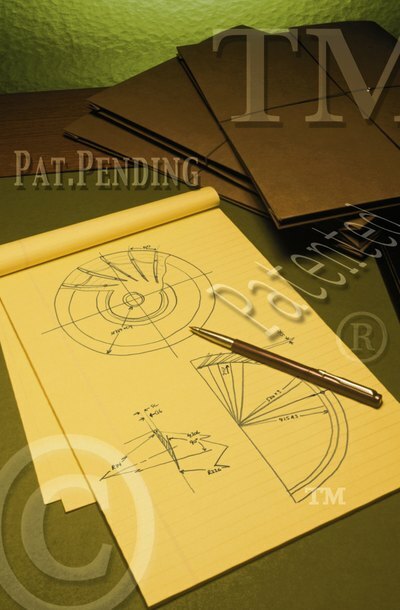 The phrase "patent pending" means the idea is part of a patent application that has not yet been approved by the PTO. After reviewing the application, if the PTO approves the application by issuing a patent certificate, the inventor has a monopoly on the use, production, and distribution of the patented idea. Licensing is a common practice in the U.S. economy. For example, many government agencies and universities will patent the ideas and technologies developed in their research labs and then license those patents to third party businesses. In exchange for the right to use the patent, the license holder typically pays the patent holder a license signing fee and royalties. The license allows the patent holder to share the patent monopoly in a controlled and lucrative manner. An inventor need not wait until a patent is approved to issue a license to a third party. The inventor can give a patent license while the patent application is pending, as long as the inventor discloses to the license holder that the patent has not yet been approved. This is a risk because if the PTO denies the patent application, the license holder will essentially possess a valueless license. How Do I Patent My Idea? A patent protects an inventor's right to produce the product he invented, preventing others from selling or using the product. Federal law provides patents as a way to encourage innovation by giving inventors ownership over their own ideas. Since patents can only be granted by the U.S. Patent and Trademark Office, you must apply through that office before you can receive your patent. What Is the Lifespan of a Patent? You’ve created something useful, and, hopefully, profitable, and now you want to protect your invention. An application to the United States Patent and Trademark Office will guard your right to make, distribute and sell your creation to the public. You can enforce a registered patent in a court of law and ask for damages for any infringement of your rights. However, patents don’t last forever, so you may need to plan accordingly. A patent is a type of intellectual property right granted by the U.S. government. Patents allow inventors to prevent other people from copying or using their invention without compensation. Each patent is given a unique number by the United States Patent and Trademark Office (USPTO). If you are a researcher, lawyer or journalist, it may be necessary for you to cite patents in your work. The exact method for citation that you use will depend on where you are citing the patent. Different methods are used for legal citations, scientific citations and journalism. What Is a WO Patent?